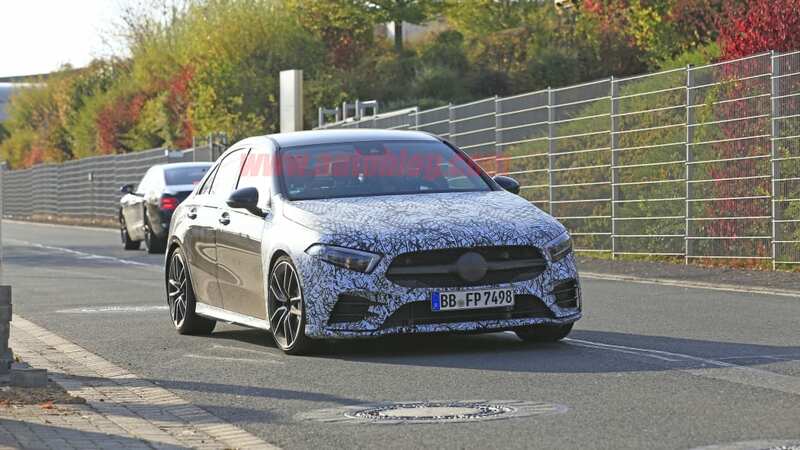 Just last month, we drove the new 2019 Mercedes-Benz A-Class sedan. 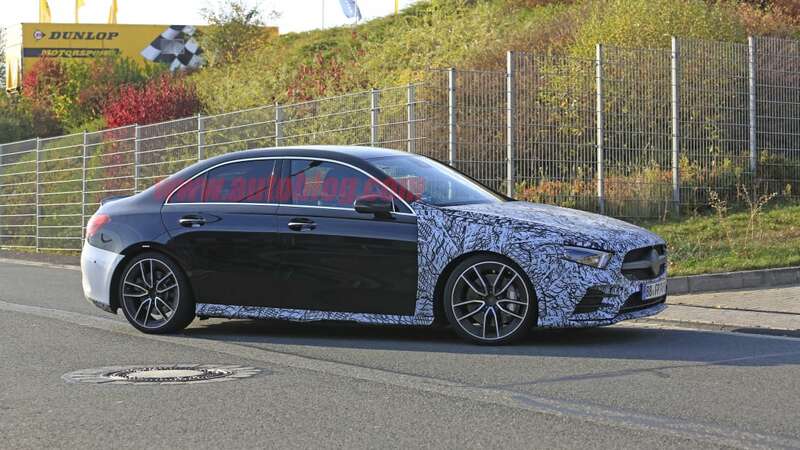 The entry-level compact slots alongside the CLA-Class at the bottom of Mercedes' lineup. 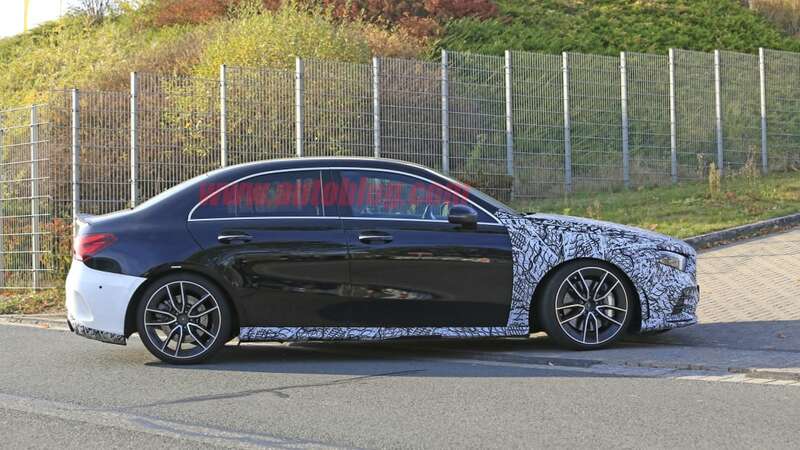 While we question why the aging CLA still exists, Mercedes presumably has its reasons. So far, the only model we've driven was the standard A 220. 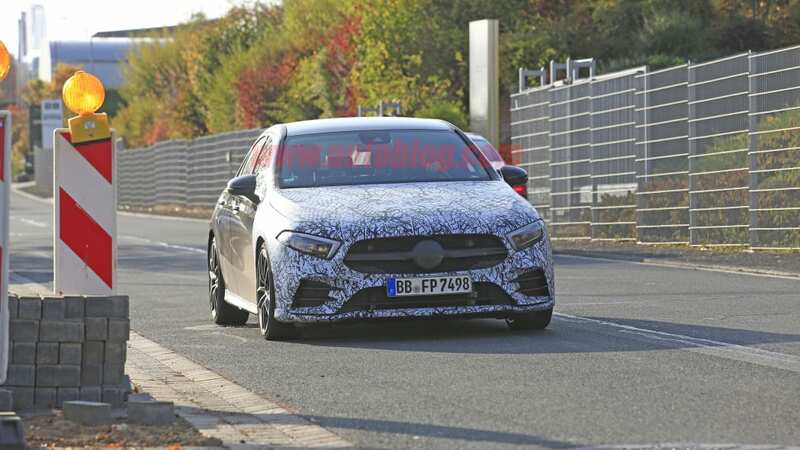 Today we get an early look at the upcoming Mercedes-AMG A 35 sedan. 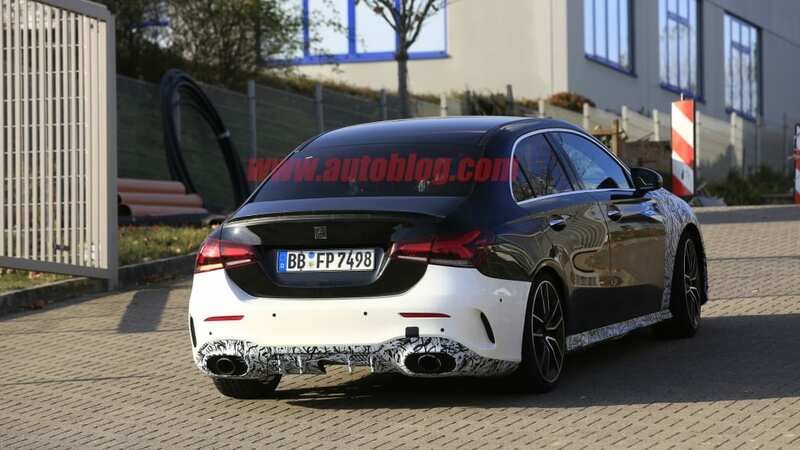 We saw the debut of the A 35 hatchback in September, but America is unlikely to get any variant other than the sedan. The A 35 is a midlevel performance model akin to the AMG 43 and 53 variants of the C-Class and E-Class. Unlike those six-cylinder cars, the A 35 should be powered by a version of Benz's 2.0-liter turbocharged inline four. 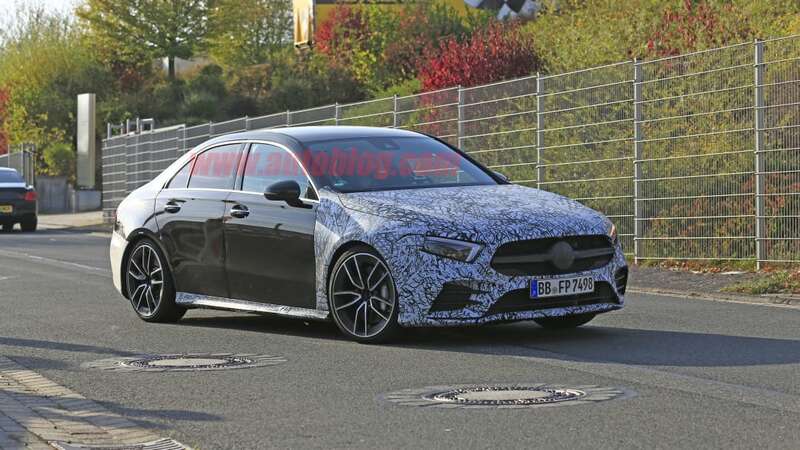 Expect 302 horsepower and 295 pound-feet of torque, giving a nice gap between the 188 horsepower A 220 and the roughly 400 horsepower expected in the upcoming Mercedes-AMG A 45. 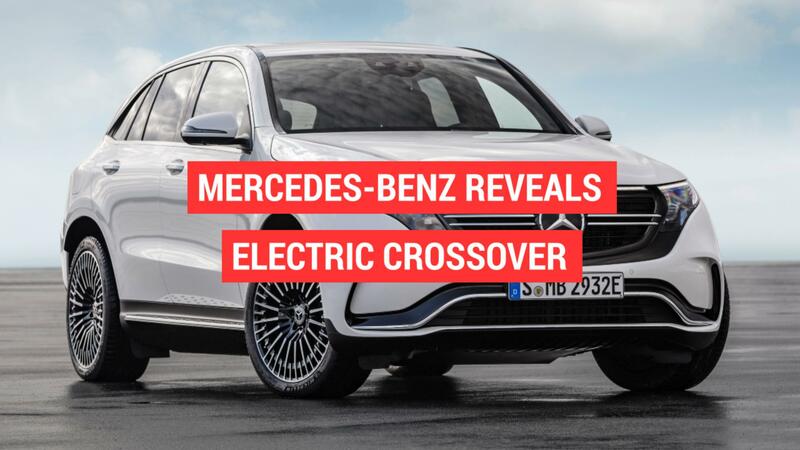 That puts it right on par with models like the Volkswagen Golf R and Honda Civic Type R, though the Mercedes is going to sit a bit more upmarket. Visually, it's difficult to see many changes between the A 220 and the A 35. 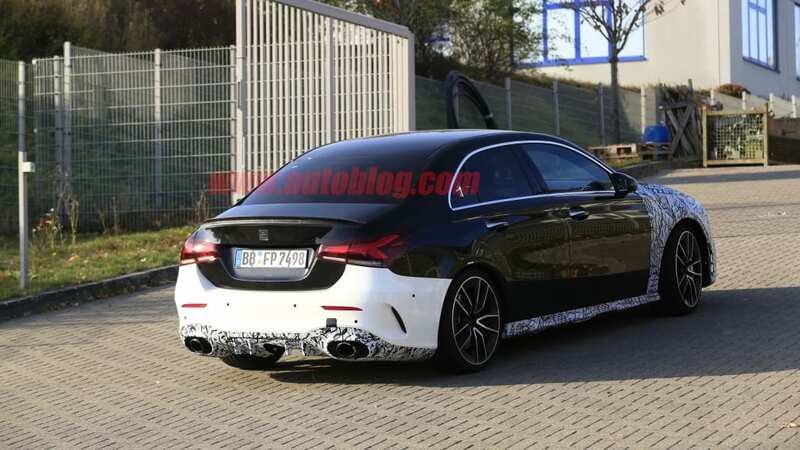 The front and rear fascias have been revised, with more aggressive bumpers and new exhaust tips. The wheels and tires are larger, surrounding some beefy brakes. 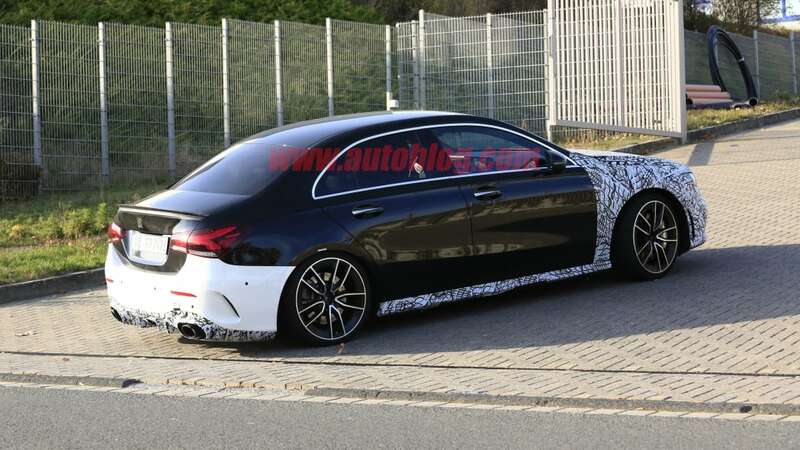 We don't have any shots of the interior, but expect features like sport seats and optional carbon-fiber trim. 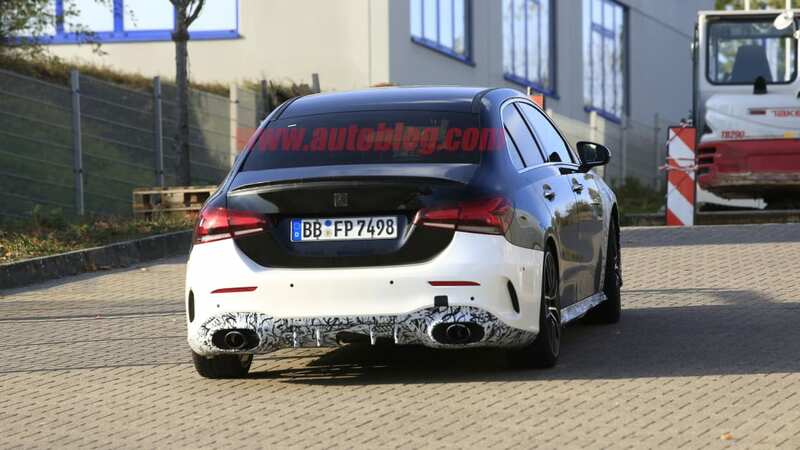 As we've seen the A 35 hatchback, look for a full debut of the sedan this auto show season.